Did you know Western Pennsylvania made an unquestionable impact on World War II? This year, the Heinz History Center in Pittsburgh has a 10,000 square-foot exhibit dedicated to WWII and its affect on the Steel City. The exhibit is on display now and features nearly 300 artifacts, four life-like museum figures, interactive displays, immersive museum settings and the very first Jeep every built from Butler, PA. 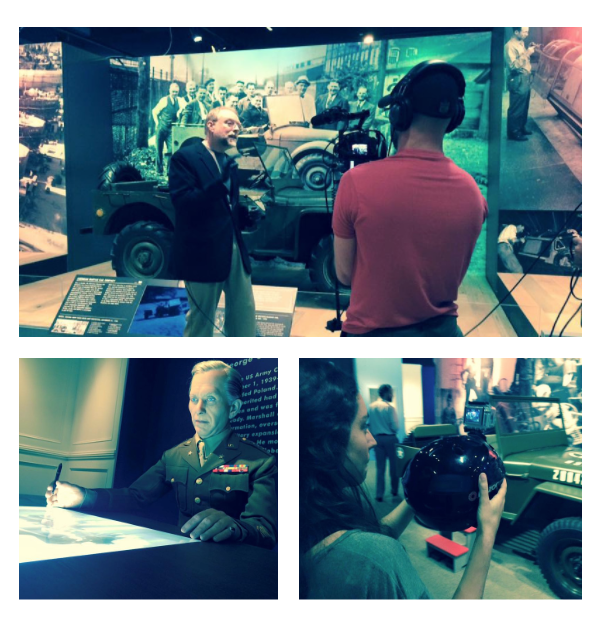 The exhibit truly brings the 1940s to life and commemorates the 75th anniversary of the start of the war. Although the exhibit is on display until Jan. 3, 2016, History Center President and CEO Andy Masich wanted to offer the community a similar exhibit experience at home. That’s where Apple Box comes in. Using our new Panasonic GH4 Ultra HD camera and a GoPro helmeted Andy Masich, we were able to capture the unique experience of walking through the We Can Do It! WWII Tour. Check out the full video below! Did you get a chance to tour the exhibit? Share your thoughts on our Facebook page.